When you're in the middle of a divorce, it's natural for conflict to arise. Most of the time, you aren't divorcing your spouse because you're able to easily meet in the middle! It's important to remember, however, that conflict in divorce doesn't help anyone. The smoother the process goes, the more you'll be able to avoid attorney fees–not to mention the fact that decreasing conflict can also help increase the odds that you'll get closer to your goals when you reach a settlement. 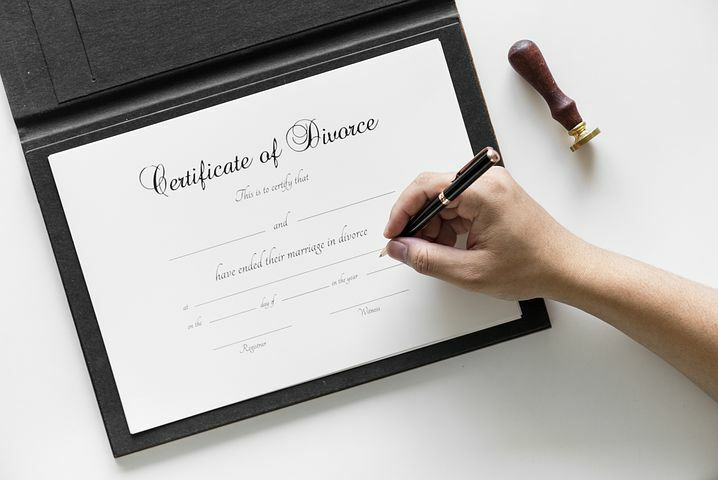 Follow these strategies from our Chicago divorce mediators to help decrease conflict throughout your divorce proceedings. Prior to your divorce, you could communicate with your spouse whenever you liked. When you're in the middle of divorce proceedings, however, it's not time for face-to-face communication. If you're struggling to resolve specific issues or you're in the middle of some uncomfortable problems, it's best to take a step back and reduce communications. Don't sit down and chat over unnecessary things! The more you communicate, the greater the opportunity for conflict–especially if you're struggling to get along throughout the divorce process. You can't get away from communicating with your former spouse, especially when your kids are involved–but you can ensure that there's a record of those communications, especially if your spouse is offering abuse or failing to follow the current terms of your separation. Use written methods to communicate with each other whenever possible. Text messages and emails serve two key benefits. First, they give you time to think things through before you hit the send key, which means that you'll be less likely to "say" something that you'll regret later. Second, they provide you with a record of any messages, which can be invaluable later if your spouse is trying to harass you or if you need to prove that you did, in fact, take care of things the way you were supposed to. When you have to communicate difficult things with your spouse–the need to have their half of a bill paid when it's already several days late; changing custody needs where it concerns your children–make use of your lawyers! Communicating through your lawyers will help ensure that any messages that pass between you are legitimate, necessary, and, if not kind, at least not rude, either. If you have children together, you're going to be interacting with your spouse for a long time. It's particularly important to find a way to get along for the sake of small children, who may find themselves in the middle of your conflict if things go awry. Even if you've already given marriage counseling a shot, co-parent counseling is an excellent strategy for improving communications and ensuring that your kids don't feel as though they're stuck in the middle of a tug of war. Sure, it would be nice to just throw all of your assets down in front of a judge and let them handle dividing them, but that's also an expensive proposition! As you're trying to decide how to divide marital assets, try sitting down with your lawyers for a mediation session. It's important that both you and your spouse have a good idea of what you want before you sit down for your session. Try to keep these things in mind if you're opting for mediation. Know what's really worth fighting for: what issues you're not willing to compromise on. Talk with your lawyer about what things are really important for you and your children before your session. Be willing to give ground, especially on petty issues. You don't want to end up in court over which spouse gets to take the wedding silver! Keep your mind open to compromise. Even if neither you nor your spouse has been able to come up with a solution that is acceptable to the other, your lawyers may be able to make key suggestions that will help open the door to a resolution. Divorce is an emotional process for everyone involved, and it can be difficult to separate your emotions from the process–especially if you're struggling with infidelity or abuse. Instead of taking those emotions out on your spouse, however, try to find a healthy way to process those emotions to help avoid future conflict. Talk with friends and family members, take up a new, physical hobby that will help you burn stress, or simply integrate "me time" into your schedule: it can make it much easier to process some of those issues. If you're still struggling to maintain your equilibrium, consider contacting a counselor. Those sessions can help you process your grief and move on more effectively. Your spouse is who they are, and nothing you can say or do is going to change them–especially not at this point. While it's natural to get up in arms over their behavior or attitude, especially if they're doing things that have been hurtful for years, you don't have to engage with them! It genuinely does take two to enter into conflict. Choose your battles carefully! In many cases, that ground isn't worth standing on and fighting over–and it's certainly not worth the emotional investment. Instead, find a way to step back and deal dispassionately with any issues that may arise. You may be surprised by how easy it is to distance yourself from those issues–and by how much conflict and distress you can avoid in the process. Avoiding conflict during your divorce doesn't have to be impossible. By choosing the right method to handle communications with your spouse throughout the process, you can make the entire divorce move more smoothly–and that means ending your marriage faster, which will in turn make it easier to get on with your life. If you're ready to begin divorce proceedings, you need a compassionate lawyer who will help move you through the process–and we're here to help! Contact Split Simple today to learn how our Chicago divorce mediators can help you in your divorce.